Background: This randomized controlled trial explored the practicality and effectiveness of a novel tool-assisted self-help device, one that combines vibrational oscillation, leverage, and the shearing effect from the edges, for promoting meaningful changes in key biochemical tissue indices and related parameters. Methods: One hundred and thirteen male break-dancers were randomized to an intervention or control group. Individuals assigned to the intervention group performed the self-help treatment on the quadriceps and the iliotibial band of their right thighs for 8 min, while individuals assigned to the control condition merely sat quietly during this period. Various primary outcome measures (e.g., elasticity, stiffness, range of motion, pain pressure threshold sensitization, and blood flow) were assessed before and after the intervention for each participant, with position and posture being standardized throughout. Subjective sensations and a measure selected to assess for potential experimental demand effects, serving as secondary measures, were also administered pre- to post-treatment. 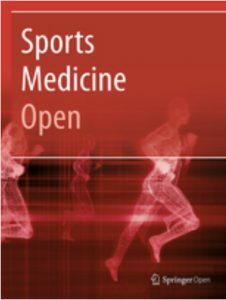 Results: Stiffness was significantly reduced for both structures (p < 0.001), elasticity and flexibility of the quadriceps were increased significantly (p < 0.001 for each), sensitization was significantly lessened (p < 0.001), and local temperatures increased to a significant degree as well (p < 0.001) when comparing change scores following application of the self-help tool on the treated thighs to those on the untreated thighs. Participants using the self-help tool reported their treated leg as being more relaxed, light, and stable. The vibro-shearing manipulation with a muscle-fascia tool resulted in significant improvements in various objective bio-mechanical tissue properties, range of motion, and pain desensitization in healthy, well-conditioned dancers. These promising effects for a new tool-assisted self-treatment indicate further basic investigations are warranted, as are pilot investigations with patient populations.